This sweet book will make sure your little one falls to sleep feeling secure and loved.Bedtime Bibles and storybooks are evergreen classics that sell through year after year. Seasoned brands and new names alike are seeing surging sales in this felt-need genre as parents are looking for comforting books with Bible stories, verses, and prayers to settle kids down to sleep. In God Bless You and Good Night, sleepy little ones are reminded of God’s blessings and how much they are loved. The delightful rhyming story takes readers through several scenes of snuggly animals who are getting ready for bed. 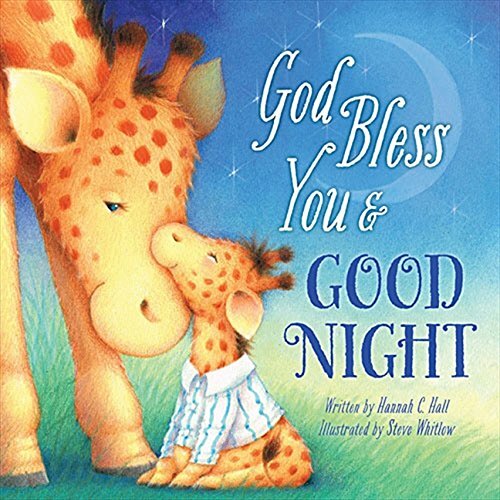 These sweet, sometimes silly rhymes and adorable art are sure to make God Bless You and Good Night a favorite part of the bedtime ritual for parents and children.